And like the Open Championship the weather will play a big part in this years PGA Championship. In the 1991 Ryder Cup, during practice rounds players were hitting 7 and 8-irons into the par-3 17th hole, by Sunday, with the wind up and into their faces, they were hitting 3-irons to 3-woods. 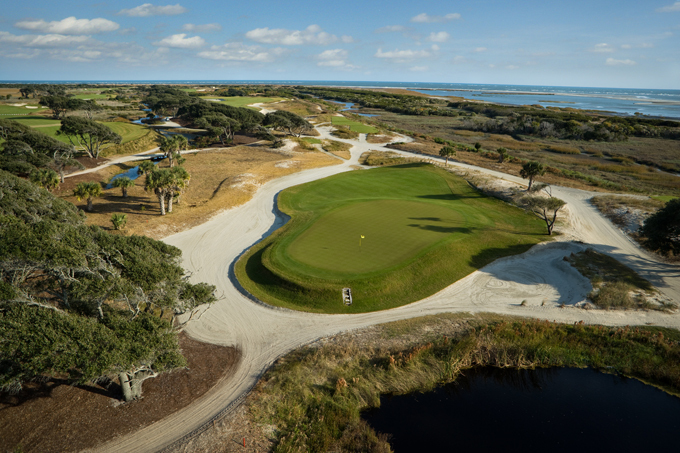 Positioned on the eastern-most end of Kiawah Island, Pete Dye has used the natural beauty of Kiawah’s seaside environment to develop this “links” style track. 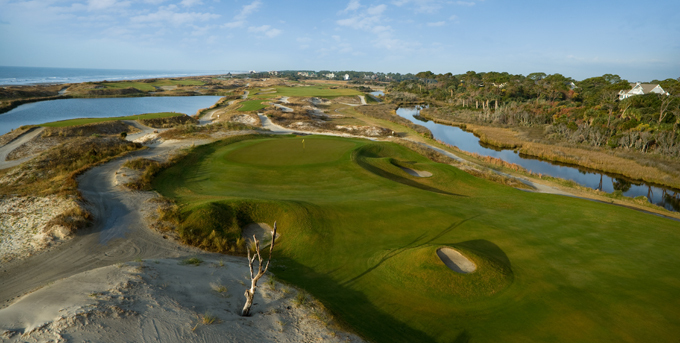 Originally the course was meant to sit behind the dunes, but Dye’s wife, Alice suggested raising the course to allow unobstructed views of the Atlantic coastline from every hole and in the process making the course more demanding due to its exposure to the area’s brisk and unpredictable sea breezes. Dye designed up to 6 tees to allow for the wind to be taken into account on each hole, giving flexibility on hole lengths and setting up separate landing areas for when the wind is against or behind. Large greens that are up to 50-yards in length take into account that a player may be hitting a long-iron approach shot one day and a short-iron approach shot the next. 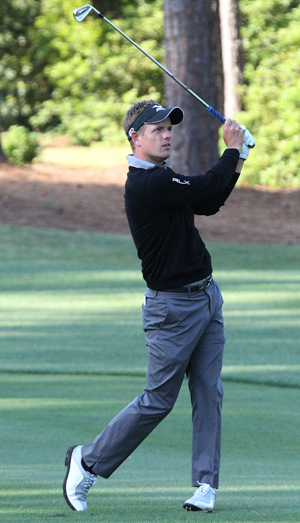 Luke Donald (18/1). I’ve always felt that a PGA Championship would be Donald’s first major win and the lad from Hemel Hempstead comes into this week in great form. The first round is crucial for Luke as he has a tendency to put himself out of a major before it starts. 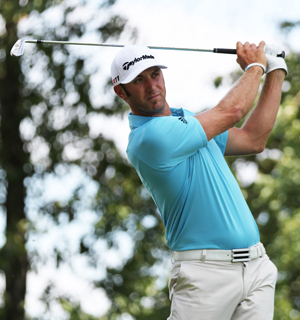 Dustin Johnson (28/1). Here’s a guy who definitely feels he is owed a PGA Championship. Johnson did very well to come back from injury to take the FedEx St Jude Classic, while a top-10 finish at The Open Championship sees him coming into this week in good form. Jason Dufner (30/1). I think Dufner has unfinished business here and with two wins and five other top-10 finishes this year, now knows he has the game to win. With two top-25 finishes out of the three majors so far—including a T4 at Olympic—plus his second place at the PGA last year, I think the lad from Cleveland is ready to make that step up. Graeme McDowell (35/1). Now looking for that second major championship, McDowell has two top-5 finishes at both Open championships this year, plus a T-12 at The Masters. The lad from Portrush is on the verge. 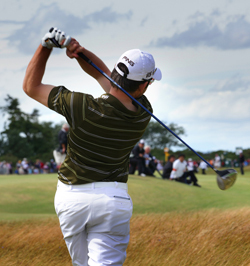 Louis Oosthuizen (35/1). One of my picks earlier this year for the Masters, it was only the genius of Bubba Watson that stopped Louis from donning the Green Jacket. I have felt all year that Louis would pick up another major: Besides his Masters loss, he finished in the top 20 at the Open Championship, but a final-round 73 pushed him down the leaderboard. I’m stuck between Australian John Senden (125/1) and Vijay Singh (150/1) as my final choice, but I am going to give the nod to the Fijian. It’s Vijay’s last year before he qualifies for the Champions Tour and what a fitting finale it would be to a wonderful career to see the big man once again holding aloft the Wanamaker Trophy on Sunday night.